The People’s Republic of China is home to 1.35 billion people, making it the most populous country on the planet. It is also home to the largest and fastest-growing economy in the world (discounting the European Union, which of course contains numerous nation states). Currently, China is a one-party state under the ruling Communist Party, which has remained in power since the end of the Chinese Civil War in 1949. The Party is well-known for the strict filtering of the internet through the so-called Great Firewall, whereby numerous websites have been blocked, including many of the most popular social utility sites, including Facebook, Twitter, Yahoo, WordPress, The Pirate Bay, DropBox, Vimeo, SoundCloud, Wikileaks, DuckDuckGo and Gmail, not to mention some of the best-known VPN providers. In this guide, we’ll outline the current online restrictions in place as well as recommending the best providers specifically for use for unblocking Gmail in China. Since the Firewall filters all online data within the country, the state authority is able to block access to any website believed to conflict with ideological and/or economic interests. Because of these restrictions, use of VPNs and Smart DNS has risen dramatically in the last few years, with providers having to evolve to overcome restrictions targeted against their use. While there are still many functioning providers in China, access to some has been restricted by the firewall, including HideIP VPN, Private Internet Access, HideMyAss, Kepard, Blacklogic, Strong VPN and SunVPN. For more information on blocked websites and other issues involving censorship in China, visit GreatFire.org. At present, 65425 URLs and 852 Google sites are blocked. Since December 2014, IP addresses in China have been blocked from accessing Google’s Gmail. The free-to-use ad-supported web-mail service boasts around 900 million active users worldwide (as of May 2015), making it arguably the best-known web-mail provider in the world. 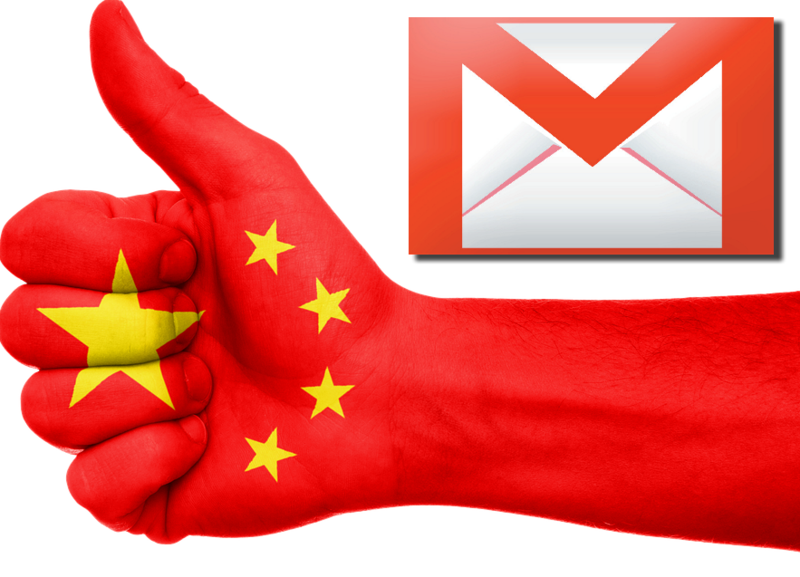 For many existing Gmail users in China, and for those wanting to use the service for the first time, VPNs and other proxy services are the only viable option for overcoming the block. The restricted access came into place after months of disruption to the service with many critics suggesting that it’s part of an economic decision to limit the encroachment of Google and other mostly US-based web services in the country. In July 2015, access to Reddit was also blocked though only for a matter of hours. Note, the Chinese government has not officially stated that a protocol blocking policy is in place nor has it defined the use of VPNs as illegal. VPN.AC is based in Romania and is operated by the I.T specialists Netsec Interactive Solutions. Strong AES 256-bit encryption supports the OpenVPN, PPTP and L2TP/IPsec protocols. OpenVPN is available using the TCP port 443 (HTTPS) using obfuscation. Obfuscation makes it so server traffic appears as SSL traffic, which makes it difficult for external regulators to block activity through firewalls and identification using DPI capabilities. Currently, there are specially-optimized servers for use in China, including the following locations: Hong Kong (1 Gbit and 1 SecureProxy server), Singapore (1 Gbit and 2 SecureProxy servers), Japan (5 Gbit and 6 SecureProxy servers) and several US West Coast locations (Seattle: 1 Gbit and 1 SecureProxy; California: 10 Gbit and 5 SecureProxy servers). VPN.AC also uses peering to connect through the two largest ISPs China Unicom and China Telecom. VPN.AC do not log user traffic though basic connection logs are kept for 24 hours. There are several anonymous payment options for users in China, including Alipay, Unionpay, Paypal, BitCoin, CashU, Paysafecard and UKash. VPN.AC also offers subscribers a TLS-encrypted browser proxy called SecureProxy, which can be used with Chrome, Firefox, Yandex and Opera. SecureProxy allows users to switch between geographic locations simply by choosing a region from the drop-down menu. To unblock Gmail using VPN.AC’s SecureProxy, first you’ll need to sign up through VPN.AC’s homepage. Once you’ve signed up, download and add the SecureProxy extension to your specified browser. Next, open SecureProxy and enter your VPN.AC credentials, then connect to one of the optimized server locations (Hong Kong, Singapore, Japan, US West Coast). You can check your new IP address is working by going here. You should now be able to access Gmail without any problems. Note, it is possible to run a VPN connection simultaneously (only the browser’s traffic will be re-routed via the proxy, while the rest of the programs will be running through the VPN). For optimal security, disable Flash and WebRTC. Chrome users might consider plugins such as the WebRTC Network Limiter, which configures WebRTC to avoid certain IP addresses/protocols.